Inside the Banking Crisis tells the astonishing story of how Britain's banking system nearly crashed. Seen through the eyes of policymakers and bankers at the highest levels, it examines the dramatic events which left officials fearing that bank cash machines would cease to operate within hours. The book will spell out what happened in the critical weeks in the autumn of 2008 amidst the biggest peacetime crisis for the UK in generations. Britain's banking system remains scarred, unable to provide sufficient credit to a famished economy. The landscape is dominated by two behemoths, Lloyds and RBS, each still controlled by the taxpayer. This state of play is the consequence of fateful decisions made in the heat of the financial battle of 2008. Ministers and policy chiefs reacted as best they could to shore up the banking system, but there are implications which could affect the economy for decades. The LIBOR scandal and the creation of a parliamentary Banking Commission in 2012 to probe the industry and grill bank chiefs demonstrates the continued political and public interest in the financial crisis and the lessons to be learned. Charting the future of RBS and Lloyds will be amongst the biggest government decisions of the next couple of years. 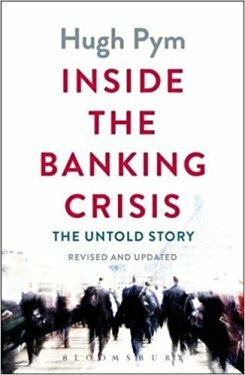 Inside the Banking Crisis will provide the first detailed account of what really happened. As well as a gripping narrative, it will also provide an explanation of what it all means for our banks and the wider economy .